The Local Council plans to build a 130m long jetty and boat ramp directly through the break at Bastion Point, a break on the Victoria coast near the town of Mallacoota, a proposal known as “Option 3b.” The most popular break in the area, it has been a primary surfing location for well over 40 years, throughout the year and in all weather conditions. 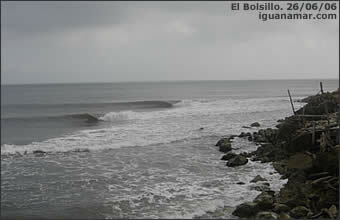 It is regularly used by over 60 local surfers and many hundreds more visiting surfers every year. Bastion Point is unique in that it is one of the few breaks on Victoria’s far east coast that works well in southerly winds. 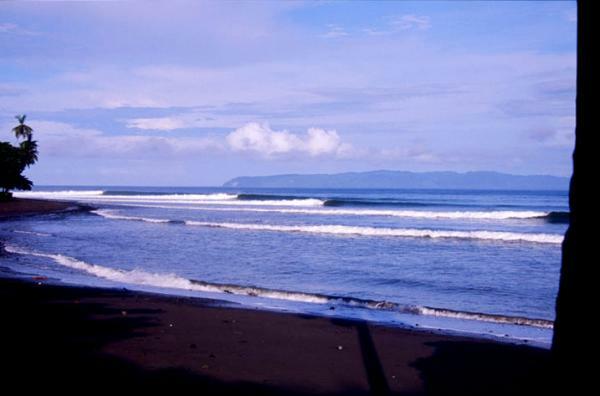 It provides a safe environment with a variety of waves that cater to both beginner and expert surfers. 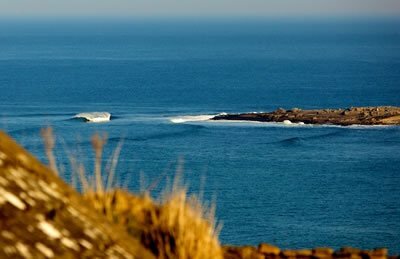 Bastion Point is big business to surfing in Mallacoota, Victoria and Australia. To destroy the wave at Bastion Point, as the Shire will do if the development proceeds as planned, would be like ripping up the only town football field to put in a parking lot. 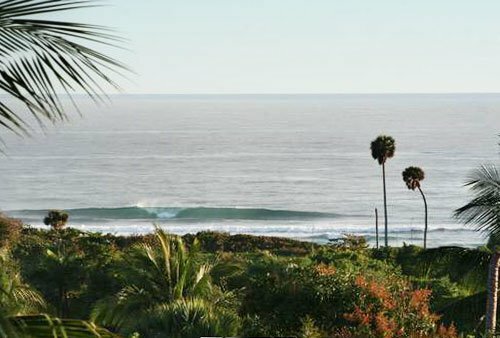 There simply is no other place nearby to surf. Surfing is big business in Australia. 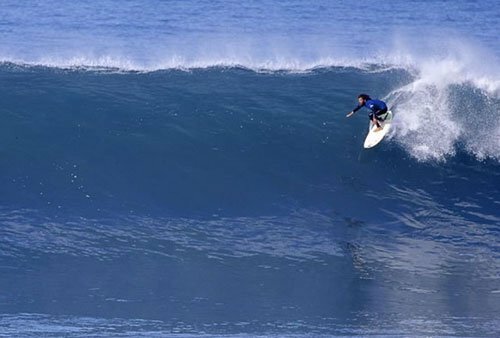 Per capita, surfers spend as much, if not more, than recreational fishermen. 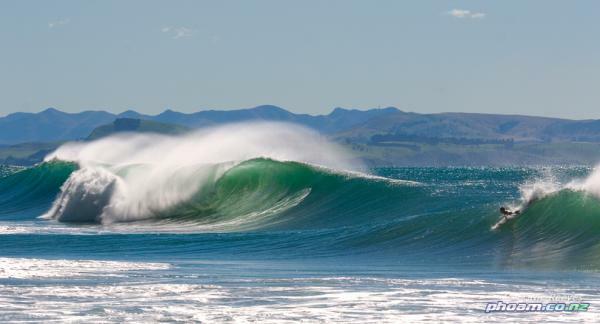 The business of surfing relies on the image of a pristine environment. 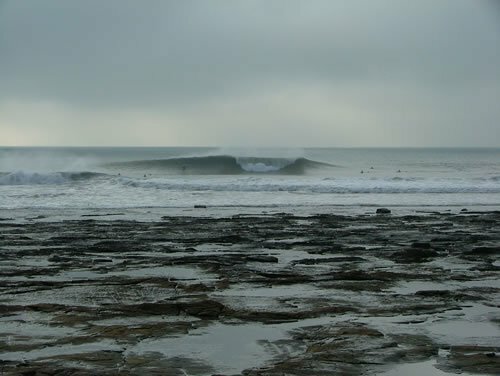 While Australia’s coastline is vast, only a relatively small area can be surfed with any degree of safety or regularity. 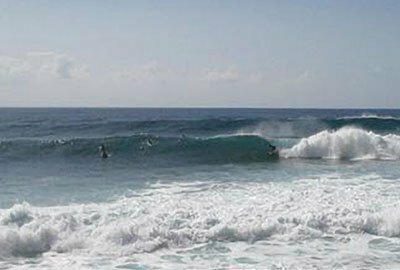 East Gippsland Shire is no different and Bastion Point is the area in East Gippsland where the waves are the most accessible and the most consistent. Everyone who visits Mallacoota knows that Bastion Point is a rare jewel – an unspoiled piece of Victoria’s coastline tucked away from the prevailing winds – a haven not just for surfers, but for swimmers, families, fishermen and beachcombers alike. This proposal poses a significant threat to the amenity and experience of all of these recreational groups. 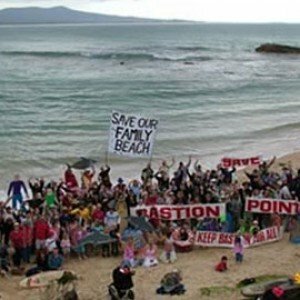 For more information and to help save the wave at Bastion Point, please visit the Save Bastion Point website. On January 23, 2012 the Minister for the Environment, Ryan Smith, gave his approval for the controversial “Option 3B” breakwater and beach road at Bastion Point. Under the Coastal Management Act guidelines, the East Gippsland Shire Council may now move forward with the project as long as they meet conditions laid out by Minister Smith. View the press release announcing the decision by Minister Smith, here. The leadership and members of Save Bastion Point! have responded by stating that they will continue to oppose the project as they have for the last decade. For more information and to learn what you can do to help, please visit our Breaking News page, here. You can also view up to date information on the Save Bastion Point! homepage to , here. On 1 Nov 2012 East Gippsland Shire Council formally lodged its application for Coastal Management Act (CMA) consent for its unpopular Option 3b breakwater and beach causeway proposal. 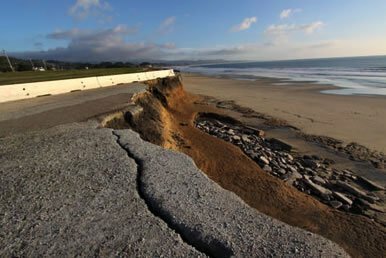 The Department of Sustainability and Environment (DSE) will now assess this Application taking into account the requirements under the Coastal Management Act. Prior to this submittal, the East Gippsland Shire Council voted on September 4th, 2012 against a motion that essentially asked that Council recognise community opposition to Option 3b, that Council abandon its preference for that option, and that Council give further consideration to the lower impact H2 options. See the motion here. The motion was defeated with 6 councillors voting against, and only 2 voting for it. Please sign our Petition calling on the Minister for the Environment to refuse Coastal Management Act consent for the destructive breakwater and beach causeway proposed by East Gippsland Shire Council. Please note that our petition with Avaaz currently has reduced functionality due to Hurricane Sandy, but the petition can still be signed. Visit www.savebastionpoint.org for more information on how to help. The State Government has advised East Gippsland Shire Council (EGSC) to make a decision by the end of 2012 on its intentions for Bastion Point. The Government has put the ball squarely back in EGSC’s court – it must decide which development option it will submit for Coastal Management Act (CMA) consent. This is all at a time when EGSC is entering a caretaker mode prior to Council elections on 27 October. If Option 3b is submitted, it is unclear how the Minister for Environment, Hon Ryan Smith, will respond. If Option 3b were refused CMA approval, it would kill it off once and for all, but there is the very real risk that the Government might approve it. Save Bastion Point is calling for everyone to campaign strongly against Option 3b gaining approval, emphasising how this option so clearly does not comply with the legislation. 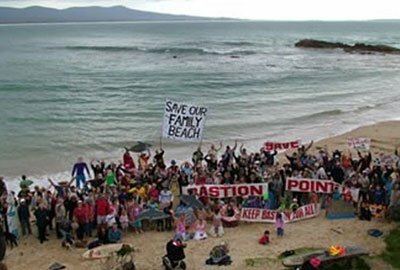 Please see Save Bastion Point’s web post Government Gives Council an Ultimatum, which includes a media release that calls on EGSC to listen to the community and heed the two consultation periods in which 87% of submitters rejected the large Option 3b breakwater and beach road development. The Department of Transport has called for submissions/comments on its “hybrid” proposal for Bastion Point, known as H2. A request for an extension of time has been refused, as the Department wishes to collate the information for the East Gippsland Shire Council’s meeting on April 3rd. Council will then decide on its position regarding the project. The Save Bastion Point Campaign has made significant gains so far. The H2 proposal has a smaller car park, does not have a road on the beach, and has a much smaller overall footprint than Option 3b (about 40%). This is a huge reduction in its environmental impact. However, – The Save Bastion Point Campaign still needs to ensure Option 3b is completely ruled out, and ensure that the final outcome is far more appropriate to the site and level of proposed use than is H2. The latest advertised version of H2 involves a 130m breakwater of which there are no real details. 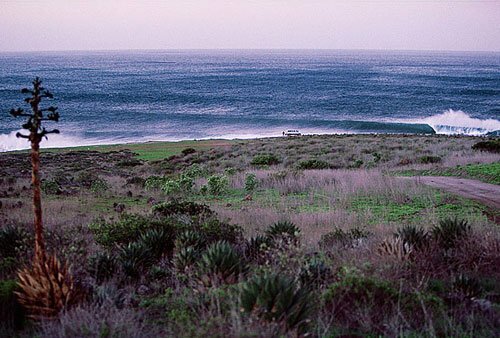 The Save Bastion Point Campaign has major concerns with its impact on safety, visual amenity and the surf breaks. They continue to work hard on minimizing the impact any development will have on Bastion Point. • A low impact upgrade at the site of the existing ramp and without a breakwater as per the Panel’s recommendations has always been the preferred outcome of our supporter base. • We reiterate that the high impact Option 3b would not be accepted by the community and are pleased that the Government seems reluctant to ever approve this option. • We commend the Government’s recognition of our concerns with any high impact development at Bastion Point. 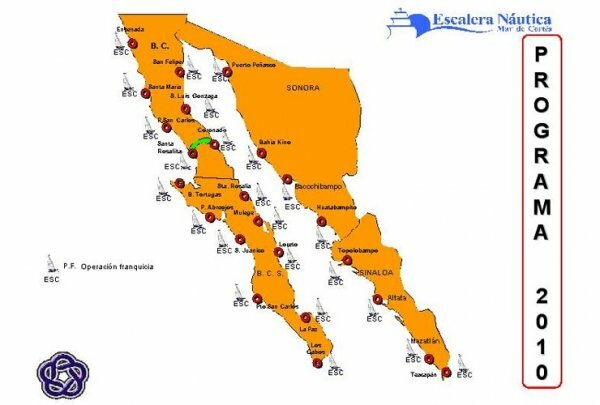 • We are concerned that the later Alternate Option H2 was not the subject of the Multi Criteria Analysis (MCA) and doubled the length of the proposed breakwater. This is unacceptable. • Should the Alternate Option continue to prove unacceptable after further investigation, the initial Alternate Option H2 would appear to have scope for further discussion and negotiation. For further details of the proposed H2 option please see Save Bastion Point’s new web pages Hyder Proposal and Analysis of Hyder. The East Gippsland Shire Council current proposal is to build a car park, causeway beach road, breakwater, and ancillary structures. However, the government wants a clear assessment made of an alternative option at the existing site to enable a decision to be made. The Bastion Point Project Control Board invited three firms to provide quotes to undertake the assessment, which included detailed engineering drawings, costings and a safety audit, with the aim to produce a detailed report so the government can compare both concepts. Hyder Consulting has since been engaged to undertake the work, and it is anticipated that the report will be completed in August 2011. It will then be given to the government to make a decision on which option is preferred. This gives hope that a sensible outcome will prevail. Locals, however, remain vigilant. The proposal calling for inappropriate development know as “Option 3b” is still on the table and as far as we know, East Gippsland Shire Council is still progressing its application for Coastal Management Act consent to move forward with the development. Also documents obtained by Freedom of Information (FOI), show that the Brumby government rolled two separate panels that recommended against the Bastion Point breakwater and beach road development. The Boating Safety and Facilities Program described the project as a “substantial structure to improve access for recreational boaters who would not normally consider boating in the open ocean from the existing facility.” But the boating safety panel’s overall assessment was: “Not recommended: The applicant has not referred to the MSV Safety Audit or addressed the ongoing management of this site. The applicant has not established demand – the project does not respond to existing demand by recreational boaters but seeks to increase demand by its presence ….The case of demand from recreational boaters has not been made.” To read more about this, click here.